Hey Man, Are You Going to Burning Lamb? This Adventure of the Week comes from yours truly, Lis the trusty web editor of Tahoe Mountain Sports. 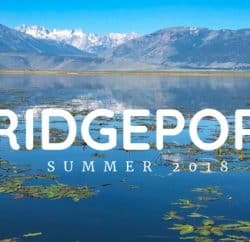 While Lake Tahoe was reveling in a hot Indian Summer weekend, I headed south to Bridgeport for a little fun. For most of the Northern California and Nevada population, Burning Man is the hottest topic of late summer and early fall. 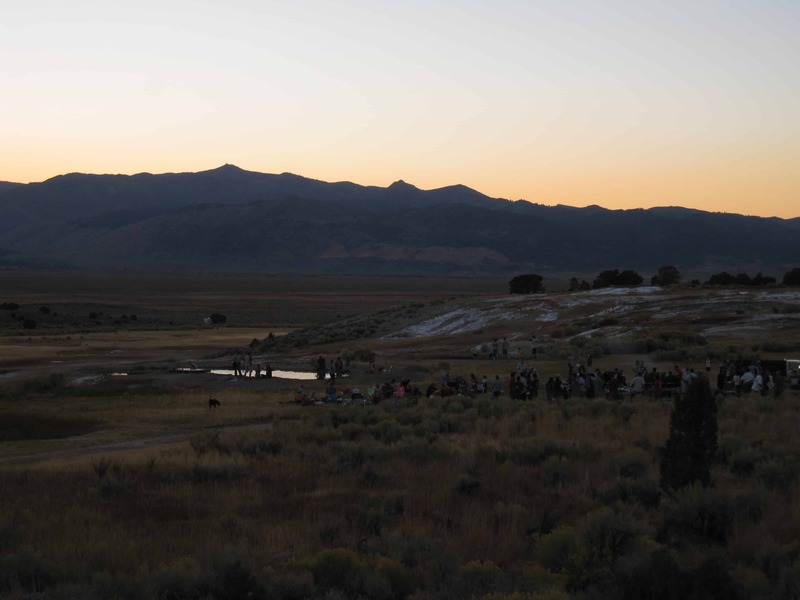 But for a small portion of folks of the Lake Tahoe region, we get just as excited about Burning Lamb, a private shindig on a sprawling piece of land in Bridgeport. Owned by a man with some serious Tahoe lineage, and whose pursuits in backcountry skiing, climbing, sailing and flying airplanes amaze us all, the spread contains just one simple yurt and a few natural hot springs. 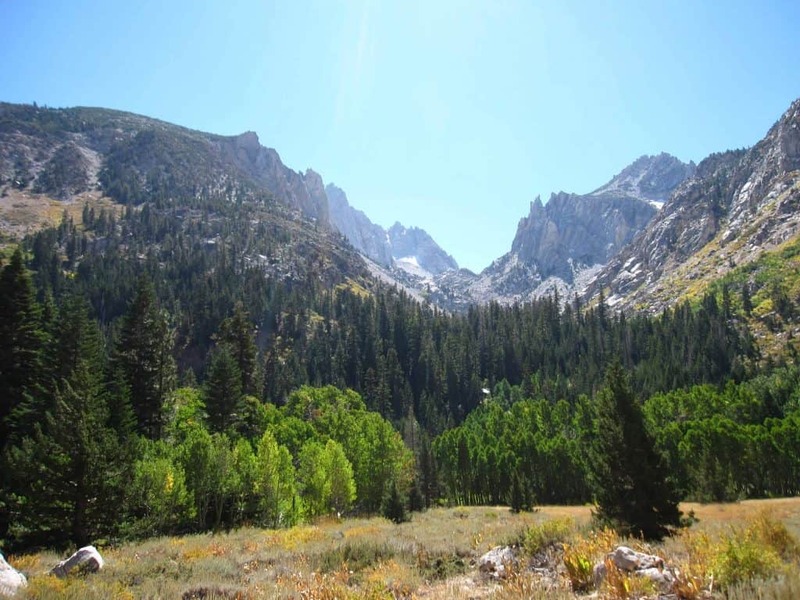 It’s used as a year-round jumping off point for High Sierra adventures. And it’s been used for 8 years as the home of Burning Lamb, a gathering of like-minded folks for an asada, bonfire, general merriment and catching the last bit of summer climbing, hiking and mountain biking before the snow falls. 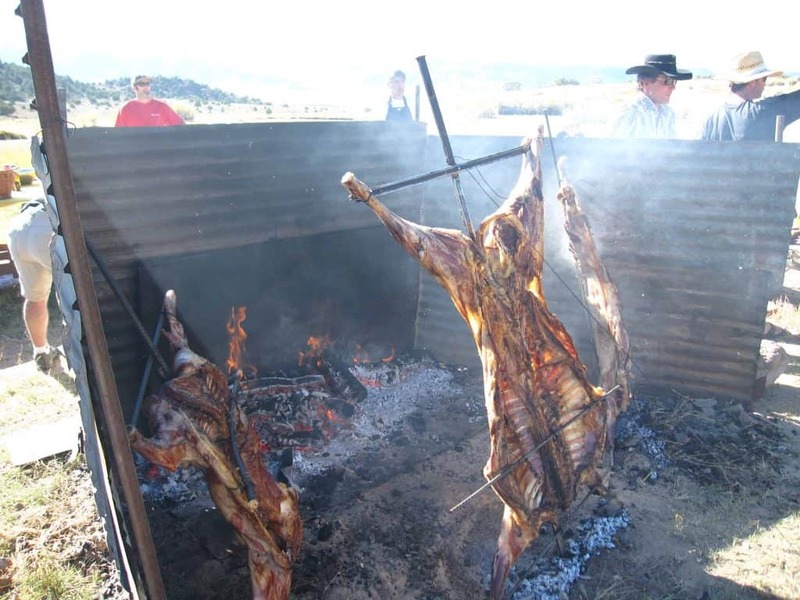 Last year marked my first Burning Lamb, and as a recent carnivore I reveled in the timeworn process of the goat roasting on a stake in an open field, but only took a nibble. This year, I gobbled the meat right on up with some chimichurri sauce, and Fern the dog got to gnaw on a bone twice her size. As afternoon turned to twilight, and twilight into night, the crowd huddled around the fire pit, musical instruments were brought out and puffy coats were zipped up tight. It’s a scene that cool fall nights are made for. The next morning, a little groggy from the wrath of an epic Burning Man, we passed on some Tuolumne bouldering for a short hike out of Twin Lakes. The aspens are changing colors up there so we caught some early fall hues and did some serious creek-side lounging. After a Walker Burger dinner stop, we came home to a landscape of changing leaves around our West Shore Tahoe home. Hello fall! Each week, Tahoe Mountain Sports takes a walk (or hike, bike, ski, surf, climb) in someone else’s shoes, from pro athletes to local Tahoe adventurers, in our Adventure of the Week blog series. Let us know if you’ve got an adventure to share.